Another layer of “magic” in our cancer navigation service comes from the precise timing & sequencing of your treatments. The ‘magic’ depends on the Cancer Navigator’s sequencing & coordinating skill – in the way she coordinates, collaborates & liaises with the medical experts in your team. Hint: In our experience with our immunotherapy specialists – timing and sequencing of combination treatments have yielded most outstanding results. 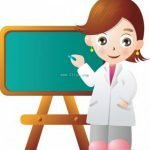 Surprising to most patients, immune therapy partners very well with many conventional cancer treatments such as radiation (immuno-radiation), chemotherapy (immuno-modulatory effects of chemotherapy). Immunotherapy is the “treatment of disease by inducing, enhancing or suppressing an immune response. Immunotherapies designed to elicit or amplify an immune response are classified as activation immuno-therapies. Cell-based immuno-therapies are effective for some cancers. Immune effector cells such as lymphocytes, macrophages, dendritic cells, NK Cells, T lymphocytes (CTL), etc – work together to defend the body against cancer by targeting abnormal antigens expressed on the surface of tumour cells. Timing: This has a lot to do with presenting antigens at the right time and its complicated. Guided by the cancer navigator, he received conventional cancer treatment at a Brisbane hospital, quickly followed up with special immune enhancement therapy overseas. After the hospital treatment his extreme PSA reading reduced a little, but when the immune enhancement therapy was added, the PSA levels dropped dramatically. The key – was the sequencing & coordinating of high-tech treatments across multi-nation borders; which exploited the patient’s ability to present antigens to his immune system following his Brisbane treatment. This demonstrates the complex art and science of effective cancer navigation. It is unfortunate that even with the same treatments, patients who try to go it alone without the cancer navigator’s assistance to sequence & coordinate their treatments will usually experience disappointing outcomes. Contact us for assistance. The navigator’s fine tuning underpins the exceptional outcomes our patients achieve. The Navigator makes it happen. This is a hard concept to grasp. BUT we consistently observe that patients who fully comprehend the navigator’s role in sequencing & coordinating your treatments – attain better outcomes. Please study Hard! 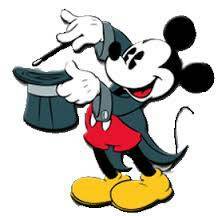 The Conductor Metaphor: Imagine your cancer navigator as a ‘conductor’ & the oncology specialists as musicians in a world famous orchestra. The musicians (specialists) are skilled in their niche but know little about the other treatments or other specialists that we coordinate. 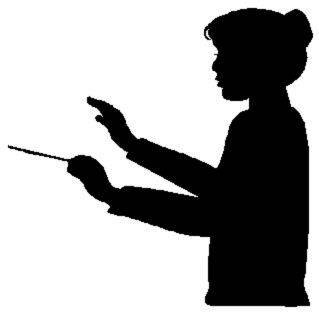 They are not experienced in this role of conductor (navigator & coordinator). The ‘conductor/navigator’ also holds the ‘big picture’ plan (or blueprint) for the critical timing or sequencing of treatments – both in the short & long term. The individual oncologists are good at what they do but cannot oversee the whole. This is the ‘magic’ of it all – it’s a ‘value ad’ to your treatment outcomes. With a great conductor the specialists (musicians) work in harmony – playing their best to create this musical masterpiece. As we have learned above – the good news is that skillful timing & sequencing can considerably boost patient recovery outcomes. Remember – The ideal outcome is a great musical masterpiece – your health restoration. 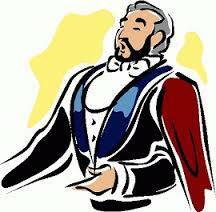 Your conductor (the cancer navigator) ensures the various practitioners (often from several countries) play as a team with impeccable timing. It will certainly mean better quality of life and reduced side effects. Register for our our Cancer Navigation Package here.